Regardless of your industry, the preparation of your epoxy floor coating is a critical process of a successful installation. Poor or inadequate preparation will result in the failure of even the most durable floor systems, no matter the material used. Every system and installation requires a certain method of preparation to achieve many goals, depending on the industry that you serve. For example, concrete slabs are different and could require different approaches for the same floor system. An experienced contractor like PPI Flooring has the expertise, equipment, and trained epoxy flooring technicians to properly prepare any slab and make any onsite adjustments based on concrete integrity or contamination as needed. PPI Flooring performs all of its own preparation, using its own equipment and employed technicians. We do this all so that you can receive the most in satisfaction! There are many steps of preparation that we would like to educate you on in hopes that you make an informed decision that will result in a successful installation that lasts for years to come. Ultimately, the flooring of your facility is just as unique as the business itself. At PPI Flooring of Orlando, we respect that and 28 years of industry experience and over 15 years in business has given us the skills, tools, and technical acumen to perform your project correctly, regardless of the size and complexity. We’ve specialized in taking on the most difficult projects possible and completing them on time and within budget. From assessment and recommendation to preparation and installation, we’ll keep you up to date every step of the way. 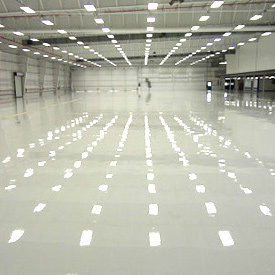 What’s the right epoxy flooring for you? We’ll help you find it and install it, so you can keep your business moving. If you are wanting to learn more about the process behind having new epoxy flooring installed in your facility, then you’ve come to the right place! At PPI Flooring of Orlando, we’re dedicated to offering our customers a transparent and straightforward installation process so that they are involved during every step of the epoxy flooring installation process. Below, you can learn more about the steps that must be taken so that you can receive a finished product that will last you for countless years to come. Interested in learning how we can help your business or facility look its best with high-quality epoxy flooring? Simply reach out to our team of epoxy flooring professionals today, who will be more than happy to walk you through everything that you need to know before you decide that PPI Flooring is right for your needs. If you decide that you are interested in our broad offering of services, then don’t hesitate to request your no-obligation, no-hassle quote today! We provide free consultations for all of our prospective clients so that they can gain a better understanding of our pricing model, our epoxy flooring installation services, and much more. This is just one of the ways that we are able to continue offering unmatched customer service to individuals of the Orlando area, as well as the surrounding areas of Florida! We understand that no two businesses are alike, and as such, each business has its own set of specific needs and concerns. For this reason, we’ll work directly with you so that we can gain a deeper understanding of any concerns that you might have, and then we will work to alleviate these concerns in a timely and efficient manner. From restaurants and warehouses to department stores and amusement parks, we’ve completed countless epoxy flooring installations, ensuring that we possess the skills and expertise necessary to pull off your project with ease. As we mentioned previously, the needs of business owners throughout industries vary drastically. This is why every flooring system is unique to the business that it serves. From sloping and polishing to nonstick or antimicrobial flooring, we offer a number of epoxy flooring options that can be customized to your liking. During this step, we will help you pick the proper materials and features that you seek to help streamline the day-to-day operations of your business. Once we’ve finished installing your epoxy flooring, you will be left with a pristine finished product that will continue to serve you for years to come. Having the logistical skills to ensure that your business experiences minimal downtime during renovations can either make or break the financial success of your month-to-month revenue. We know that your business never rests, which is why we’ll sit down with you to outline an installation plan to help you keep your business up and running while we bring your flooring to life. If you’re looking for the best epoxy flooring company in Orlando, then you would be hard-pressed to find a more suitable company than PPI Flooring. Contrary to popular belief, taking care of your epoxy flooring after it has been installed is relatively easy. However, we know that not all business owners will feel entirely comfortable caring for their new epoxy flooring. This is one of the reasons why we offer comprehensive information regarding caring for your epoxy flooring, so that it will continue to stand the test of time, no matter the amount of foot traffic. Not to mention, after we have installed your epoxy flooring, we will conduct a follow-up meeting to see if there are any problems that need to be addressed in terms of repairs or maintenance. 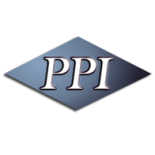 This is a broad outline of what you can expect to happen when you begin working with PPI Flooring. If you have any additional questions or concerns, or if you would simply like to request your no-hassle, no-obligation quote today, then get in contact with our friendly epoxy flooring experts at PPI Flooring. We are dedicated to serving the Orlando area and the surrounding areas of Florida by offering unparalleled service and attention to detail with every epoxy flooring installation.